Dischi a settore laser –saldato per tagliare Cemento, Calcestruzzo e materiali abrasivi. Specifications︰ Soft , medio , hard bond segments available, cut easly all kinds of materials : hard concrete, reinforced concrete, brik,. 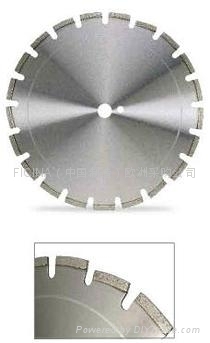 excellent cutting speed and long life , used on walk behind saws up to 20 hp. 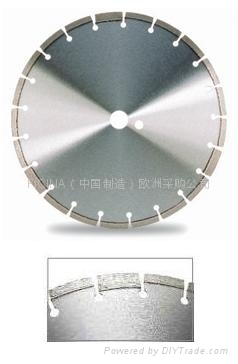 Drop segments or slant segments are used to protect blade from undercutting. Advantages︰ Segmentierte Trennscheibe mit Weich -, Mittel und Hartbinder.